We wish to recruit new members to join our Board of Trustees who will bring skills to help us achieve our mission and ensure effective management. We are particularly looking for someone with financial skills to act as Treasurer. We would also be interested in hearing from anyone with any of the following skills or experience: running a business; working in retail; Health & Safety or HR. All these skills would strengthen our Board for any future challenges it may face. The trustees meet as a board six times a year and individual trustees are involved in other ways as their time permits. Trustees would need to be able to make a commitment to Emmaus and its principles, have social concern, independent judgement and work as part of a team. Trustees must be at least 18. We are looking for people with financial skills to act as Treasurer. We would also be interested in hearing from anyone with any of the following skills or experience: running a business; working in retail; Health & Safety or HR. Organisation Profile: Emmaus Mossley is a charity that offers a home, work and support to people who have experienced homelessness. We are unique unique in that our companions (the people we support) work alongside local volunteers and staff in every area of our social enterprise. Without the skills, experience, hard work and dedication of our community members, our charity would not function. 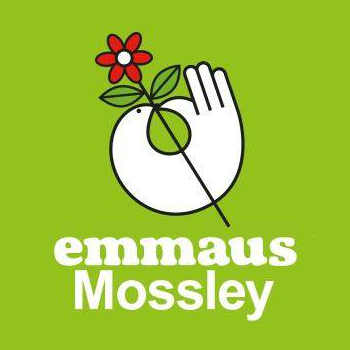 Emmaus Mossley is situated over three floors in Longlands Mill, an old cotton mill in Mossley, Tameside. The Secondhand Superstore, workshop and office space covers the first two floors and the community is situated above. Our shop is central to what we do. It provides meaningful work for the people we support, it provides the money needed to sustain the charity and it extends the life of donated items, giving someone the benefit of owning it and diverting it from landfill.